National Costume round is always fun to watch as one gets to learn about ones culture & history. 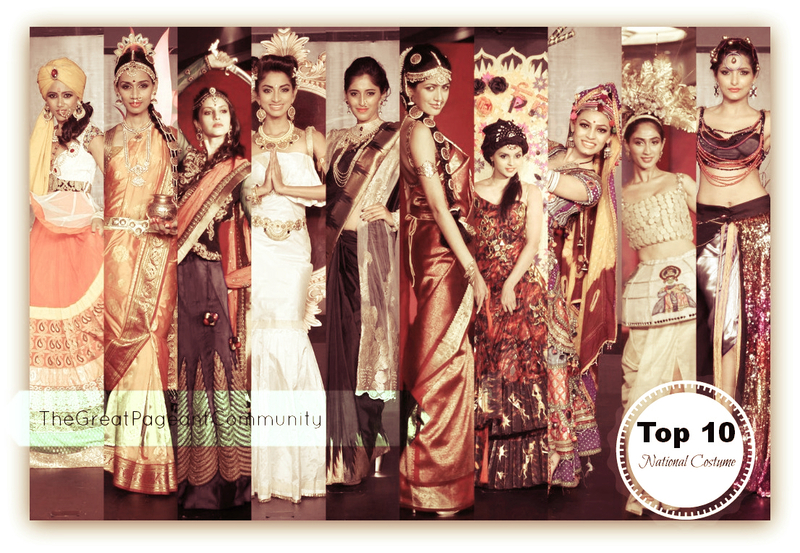 Femina Miss India National Costume round gave contestants a chance to unleash their creative side & impress the judges. (left to right) Jantee Hazarika , Sanjana Ganesan,Koyal Rana, Sahithya Jagannathan, Medhini Igoor,Nikhila Nandgopal,Gail Nicole Da Silva, Simran Khandelwal, Deepti Sati, Yoshiki Sindhar. Exclusive: TGPC’s Final HOT-PICKS for FMI’14… with Fan-commentaries!! !